Today, you had your final in class Social Studies Inquiry class to work on your projects. Make sure you follow the criteria closely so you can achieve success. Remember, if you have a great slideshow with good research, but you didn't include the core components of the criteria, you will be unable to achieve an applying or expanding assessment. Always pay attention to the learning intentions and success criteria. Review test this Friday on the last 3 units. Click here to review. Thanks to Jordan from Div 1 for making this for everyone! Work on your projects. Your presentations will be this Thursday. Click here to see all related handouts for your inquiry project on Mr. Fisher's site. Practice using the skills you learned in class. Take pictures and choose your best example of the 'RULE OF THIRDS'. Upload this photo to this Google Slideshow. Come up with a title for your slide. The theme for your picture this weekend is 'FUN'. The object of focus can be anything that represents 'FUN' to you. In a short paragraph, explain the meaning of your photograph. Please feel free to complete a 'FREE WRITE' today as you would in your writer's workshops notebooks. You can also ask your peers questions about your inquiry projects. On Friday, the students received their report cards and reviewed them at school. There shouldn't be any surprises as the details of the report cards can be seen at anytime on FreshGrade. Ongoing assessments are an important part of your child's learning. Please be sure to check FreshGrade on a regular basis to stay well informed of your child's ongoing progress. A digital version of your child's report card will be uploaded to FreshGrade in the next few days. Please feel free to email me if you have any questions regarding your child's learning. We have been working on being able to give explanations in a clear, logical, and concise manner. In a clear manner, please post instructions on how to make slime. If you do any research, be sure to include the link fo the site/video you used for your recipe. Feel free to use this video as a model for your post a response if you like or do your own research. Feel free to post instructions for regular slime, butter slime, das slime, etc. Your instructions should be easy to follow. FEEDBACK: Give one other student feedback on their use of transition words. You started your digital photography unit on Friday. The first skill you learned how to apply was the 'RULE OF THIRDS'. Upload this photo to one slide on this Google Slideshow. Comment on at least 2 other photographs and how they used 'RULE OF THIRDS'. Today, students continued working on their presentations for their inquiry projects on early humans. They have worked through the immersion, investigation, and coalescing stages. Now, they are working on going public with their presentations. We are aiming to start presentations next Thursday with their groups. Be sure to work on your projects over the weekend. Word work quiz tomorrow. Click here for a list of the words. Quiz tomorrow on calculating percents. Review activities, notes, and videos from the last few days. Today, we reviewed learning intentions and the criteria for the 'GIFT OF WORDS'. In a book that you're currently reading or read recently, post a powerful phrase and explain what it means according to the criteria for 'GIFT OF WORDS' that you reviewed in class. Remember, the meaning of the phrase will be different depending on the 'CONTEXT' of the phrase within the story. Today, you practiced calculating the price of items after discounting it by a certain percentage. You also calculated the price of an item after the sales tax. Tomorrow, all students must bring an item (toy, book, clothing, etc) that you will be able to use for our math activity. You will be looking at the items your classmates bring to school and you will calculate prices based on the discount and sales tax. 1.) LA: Continue your word work. 2.) MATH: Bring an item for the math activity tomorrow. Create a question based on what you learned today. Your question is required to have another student solve it for the amount of the discount, the new sale price, and the price after the 12% tax has been included. Use the process and formulas you learned in class today. Be clear and concise in your explanation. It should include words and numbers. Check to see that the student who answered your questions, did it correctly. Today, we started stage 2 of the Novel Approach. You will be moving towards improving your use of the reading strategies to improve not only your reading comprehension, but also your writing and speaking skills. You will be learning working on 'GIFT OF WORDS', 'THINKING AND LEARNING QUESTIONS', conversing in 'BOOK CLUBS', and writing 'POWERFUL RESPONSES'. 2.) MATH: Complete assigned work. #1-4, 6, and 8. Today, you learned how to calculate how much an item will cost after taking off a certain percentage off the original price. I have posted two videos today reviewing the lesson from today. Post a question and do not solve it. Provide feedback to the person who solves your question. Let them know if they did it correctly or what they have to do to solve it properly. You may use any strategy you want. If someone's questions has been solved, solve someone else's question. Today, the students continued learning about how to calculate percents using different strategies. They are learning about ratios, decimals, and fractions and how they relate to percentages. Tomorrow, the math lesson will be on calculating prices from products they may purchase when they go shopping. Students, make sure you bring a flyer with different products on them (Home Depot, Wallmart, Shoppers, Bestbuy, etc). Feel free to print one out online if you don't have any at your house. The flyers with discounts in percentages work best. Bring a flyer from the mail/newspaper/online to school tomorrow. The original prices are as follows: JEANS $70, SHIRTS $30, and SOCKS are $10 for 4 pairs. The flyer says that the discount is 33% off any of the three items listed above. Calculate the cost of purchasing any combination of the above items. You must choose 2 or 3 items and calculate how much the final cost will be. Today is also your lucky day because H&M said you don't have to pay any taxes! Remember, this is a time limited offer and will expire tomorrow morning when the bell rings. 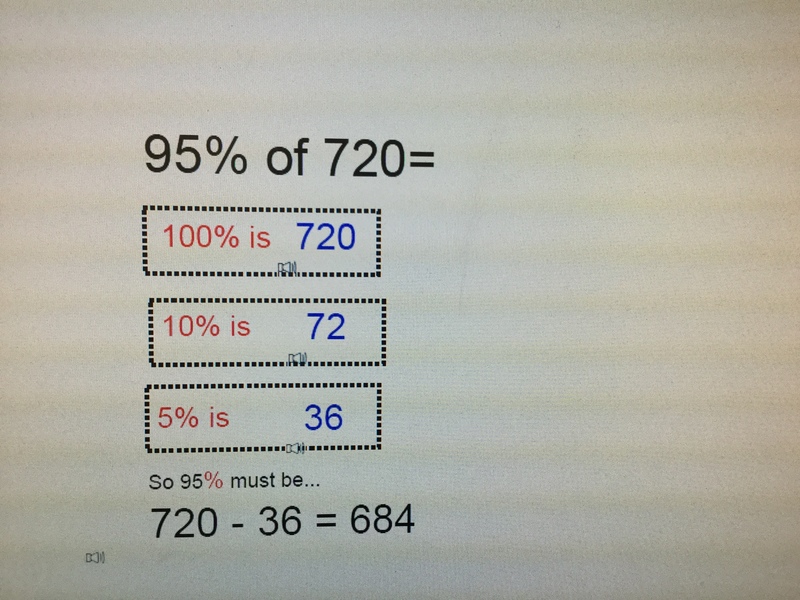 Use mental math if you can or calculate and do your best while showing your work. 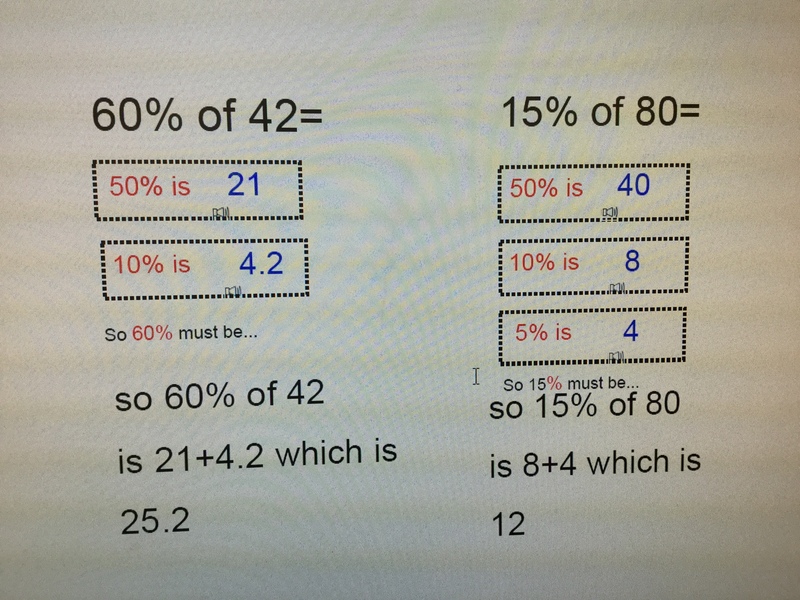 It is not easy to explain and show your thinking for math on a keyboard. This is why we must use our words to communicate our thinking as clearly as possible. Check one other person's answer to see if they are correct and comment on their question to let them know if they need to fix anything. Correct your own work if you made any errors. Self-regulation is all about self-control. Toddlers, kids, teenagers, and adults all learn strategies throughout their lives that help them regulate their feelings, emotions, and actions. Sometimes, we are put into a situation where it is very challenging to control our excitement, sadness, or anger. This is ok. This is a part of life. However, we all have to learn to deal with our emotions productively to minimize any negative effects it might have on others. Bring any flyer to school that has prices of items and sale prices. For example, SALE! 25% off all LED lights from Home Depot. If you don't have any newspaper type flyers, simply print something off from an online website like bestbuy.ca. You need this for tomorrow's math lesson. Upload final revised version of your powerful response after the self-assessment and peer/teacher feedback. Upload all handouts including your 'BORN TO STAND OUT' poems and visible thinking sheets. Upload original response paragraphs (Paper) that you highlighted with different colours according to the criteria for a powerful response. After watching the video below, post what you think the big idea is. Include an inviting lead, supporting sentences including examples, and a conclusion. Give on student 2 suggestions for improvement. Edit/revise your original post based on a self-assessment or feedback you received. Today, the Grade 7 students were inspired by Jackson Pollock's action splatter style of painting. They created artwork that they all contributed to using their understanding of the 'Zones of Regulation'. We also added a few other colours to add to the variety. They have been learning about the elements of art and the principles of design. Today they put their knowledge to use by using a variety of colours, shapes, and lines. Complete pg 156-157 if you haven't completed the questions. Mark all answers at home using the back of your textbook. Complete your word work (16 sentences). Hand in a paper copy or submit via Drive to my email address. The story you create should flow smoothly and should not be random sentences that do not connect. Give one student feedback about the content of their story. Let them know if they didn't use the word correctly. Today, you learned a little bit about Jackson Pollock and his action splatter painting. You learned about the different tools he used to create his splatter paintings and how he expressed his feelings through his artwork. Tomorrow, you will use the zones of regulation colours to create a 'PAINT BY NUMBER' collaborative piece inspired by Jackson Pollock's style of painting. Don't forget to bring an old shirt and other old clothing that you don't mind getting paint on. This activity can get messy! Click here to see what you will be doing tomorrow. Complete your 16 sentences for your word work. Criteria: The sentence must be grammatically correct and show that you understand the word. Bring some old clothing you don't mind getting paint on. Also, bring some brushes, old water guns , thicker string, etc that you may want to use when it is your turn to paint. Today, you learned about Robinson Crusoe and Friday. We were lucky to have the AXIS theatre perform for our school today. Remember, it doesn't make sense to bring something like a Playstation. Think logically about what you would need to survive. Ask one student a question about their items. Reply to any questions you receive. 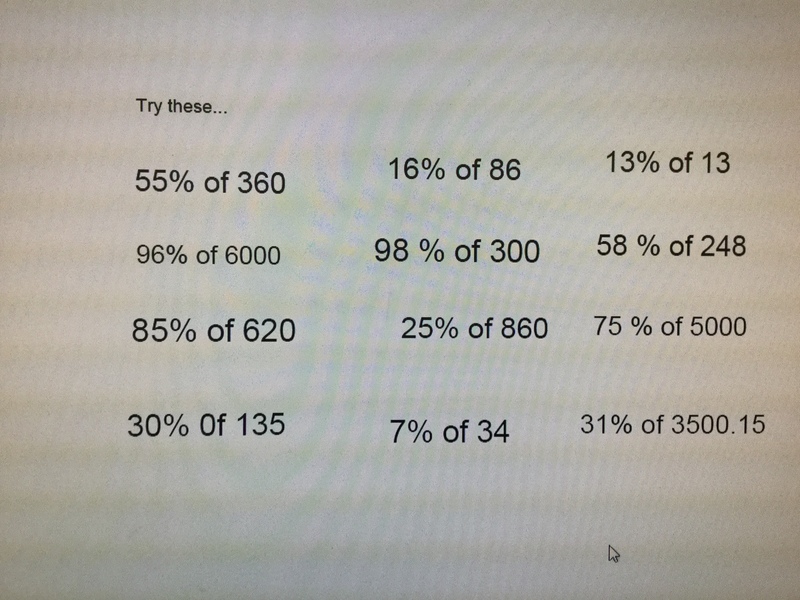 Your only homework is to watch this video on percentages. You will have a short quiz of less than 5 questions in class tomorrow morning. I will give you similar questions. Please return as soon as possible. If your parents have any questions, please have them email me here.